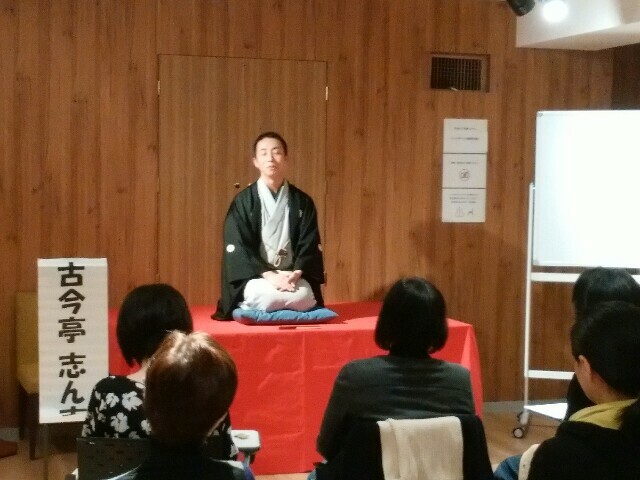 On November 29, "OTERAKUGO NO SUSUME", an event to like the Buddhism through rakugo (Japanese traditional comic storytelling) was held at the Tsukiji Hongwanji Ginza Salon. 23 guests came there. Thank you for coming. I appreciate Mr. KOKONTEI Shinkichi. When an elder Buddhist priest was examined by a doctor, he pretend to know “tenshiki” though actually he did not. Then, a boy Buddhist priest asked the doctor what is “tenshiki”. But, the boy priest told the elder priest incorrect intendedly. So, the elder priest was put to shame. Next, I talked about comparing ourself and others. We are tend to decorate ourselves. And, we are pleased with others' failure. Because we like to be superior to others. Buddhism teachs us that improving ourselves is better than defeating others. We often decorate ourselves, and sometimes disturb others. These might lower our dignity. 新元号は「令和」 The new era name is "Reiwa"
落語「金明竹」で仏教を考えよう Thinking about Buddhism through a rakugo "Kimmeichiku"